What’s hot around town right now? Of course, it’s the PIE Control! 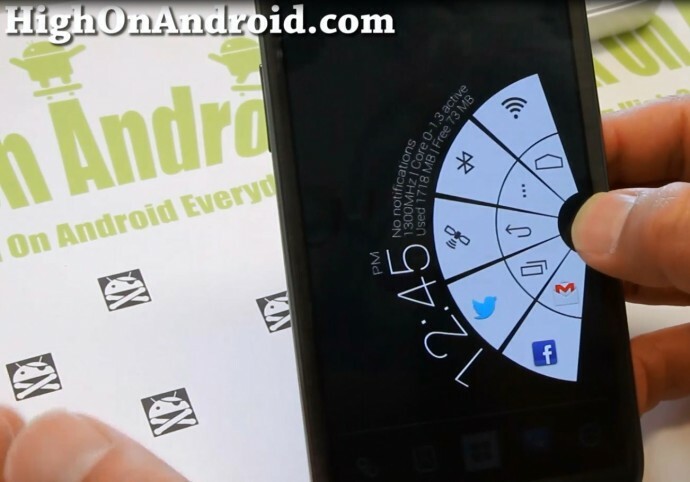 If you are running the latest ParanoidAndroid ROM, you can get PIE Control, a new way of accessing your home buttons. Now, the good news is that you don’t need to install ParanoidAndroid ROM to get this feature. 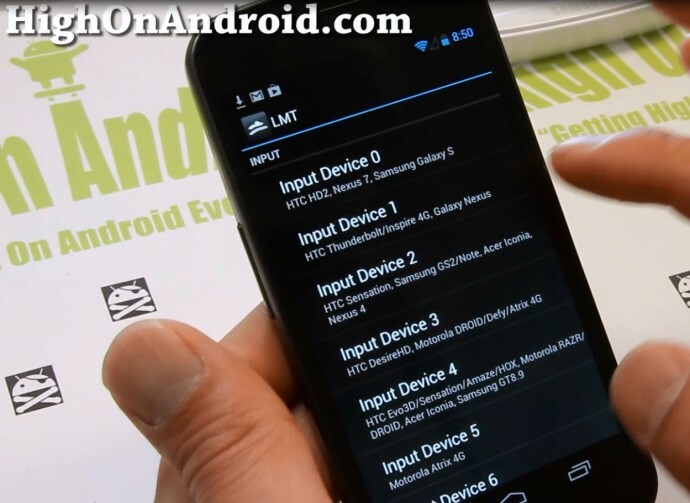 You can install LMT launcher app on “any” Android smartphone/tablet device and also even customize the buttons (up to 10 buttons + another 10 for long-press on the buttons). Step 1. So, let’s get to it. 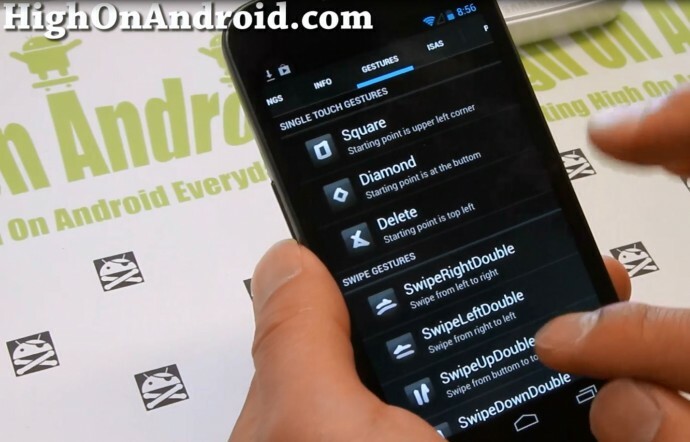 First, you will need a rooted Android smartphone or tablet. Step 2. Next, download the latest version of LMT launcher from XDA. Then install it using ES File Explorer app. Step 3. Open the LMT app, and hit “Start/Stop TouchService” to start the LMT launcher. Also, you can set “Autostart TouchService” to value 1 if you want it to start when your phone/tablet reboots. Step 4. For the gestures to work correctly, you will need to set “Set gesture input”. Refer to the device list below and choose the right value for your device. If you don’t see your device in the list, try a device with similar display specs. Step 5. Test your new PIE control by swiping from the center right-side edge of your screen. You should see a “basic” PIE control like shown here. Step 6. You can change the color of your new PIE control in Settings under “Pie Colors”. Step 7. Also, the PIE Control defaults to the right side of the screen, you can also activate it for left side of the screen (for left handers), bottom of the screen, or even have it activated for left, right, and bottom. Step 8. Next, you can customize the PIE Control buttons any way you like by going to PIE Settings and setting them up to 10 buttons and also 10 longpresses. Step 9. When you add an app, you might not see the logo of the app. Simply set “Show app images” in settings to 1 or 2 to make it show app logo. Step 10. If you set all of your buttons, you should see a nice PIE Control with 10 shortcuts! Step 11. You can also add gesture shortcuts easily. First, make sure “Set TouchService mode” is set to value 1 otherwise they will not work. Step 12. Next got to “GESTURES” tab and add your favorite shortcuts. Step 13. Also you can go to “ISAS” tab and set invisible swipe shortcuts. Once you are done setting your PIE Control and gestures, you are set to go. Enjoy and go show off to your iWhore friends how much better your Android is. Thanks Max for this tutorial. It worked like a charm on my Nexus 7 and I’m doing it on my Razr Maxx next. You are the best! Yeah, works awesome on my Nexus 7, very useful for tablets actually I don’t have to elongate my fingers anymore to the home button at bottom. Ok thnx…for a new tut. tat works on any device. Does this work with the s2? Yes. work with S2 I9100 android 4.0.4 stock rooted. Installed this on Galaxy S2 (rooted with standard Gingerbread ROM)./ Everything seems to work except no apps are displayed for me to choose from when I try to assign one to either a pie item or a gesture. Any ideas? works great! thank you for sharing this great application! This works great exept for the gestures. I cant seem to get them to work. Im using Gs2. Also there is a new version now, 1.9. Any Ideas? I’m having issues with the latest version of this app with my HTC evo 3d. I can get the pie shortcuts operating, but I cannot get the gestures. Is it possible that Iconfigires my device I correctly, or is this a bug with the app? Looks neat, tried it on my Galaxy Note, running Padawan ver4, it kinda works and kinda doesn’t, pie won’t stay out there, even if I can get it to come out, What am I doing wrong, or is there a setting I need? Would really like to have this feature on my phone! doesn’t work on my lg optimus sol. The bottom of my galaxy note 2 was dunked in salt water and the menu, back and home buttons stopped working (Luckily nothing else was damaged). With pie, I hardly miss them. Anyway, how can I change the icon size on level 2? My icon size on level 2 is bigger than the usual icon size on LMT launcher. it doesn’t seem to function on the galaxy s4. is it not compatible? Should work, what’s the error? Mine doesn’t work for my Galaxy s4 either. .. Could you help me out. just choose the HTC Evo3D AND change the value of Activation area thickness to 70 or 100. I have tried this with no success, any further instructions? am useing samsung galaxy s3..
the lmt launcher is so nice…its shortcuts is so nice..
Will this work with s2 t989 4.1.2 ? Willthis work with Note 3? Not working on my s3 i9300. Tried every input device. What to do pls help. My device is rooted but no custom rom. i m having issue with my samsung galaxy note 3. i have rooted phone and still this app doesnt work so plz help me kindly reply via email if possible..
apart from this, i have learned to root my phone by this site only it was easy due to you guys i really appreciate your work..
Holly cow this is AWESOME! THX Max!